Now, I can't figure out a way to fill automatically the white zones on the map by calculating an average of the surrounding points. I tried many things including the stat_density_2d or stat_bin2d functions, but no way to achieve what I really want. Here's the "assign value of nearest non-missing value by centroid distance" solution. I'll use a simpler data set so you can see what's happening. To use this correctly, make sure your geospatial data is on a metric coordinate system, so before you project to lat-long. You should probably also wrap it up into a nice function. This was done on mapa just after the data is joined to it, and without doing an spTransform. Not the answer you're looking for? 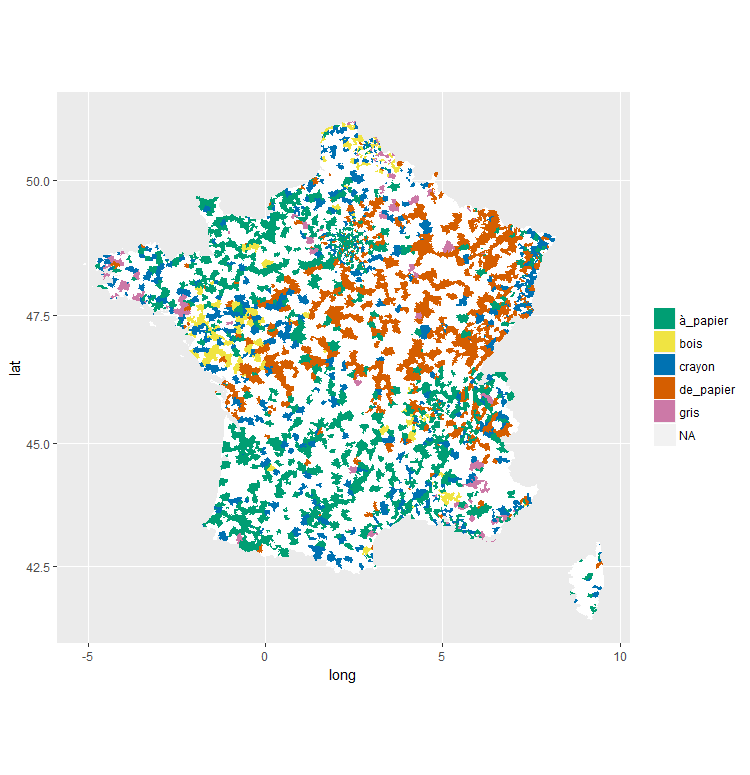 Browse other questions tagged r cartography ggplot2 or ask your own question.